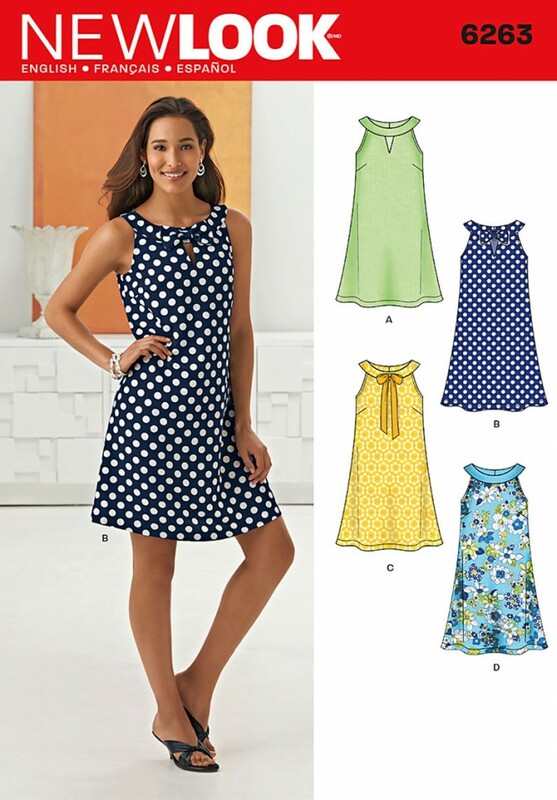 Misses sleeveless a line dress features a notched neck line with and without a bow. View C can be made without notch and long bow or view D can be made with a contrast band. New Look sewing pattern.